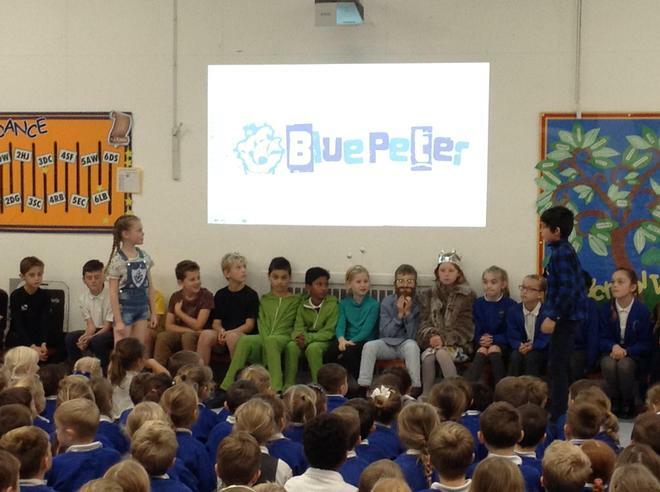 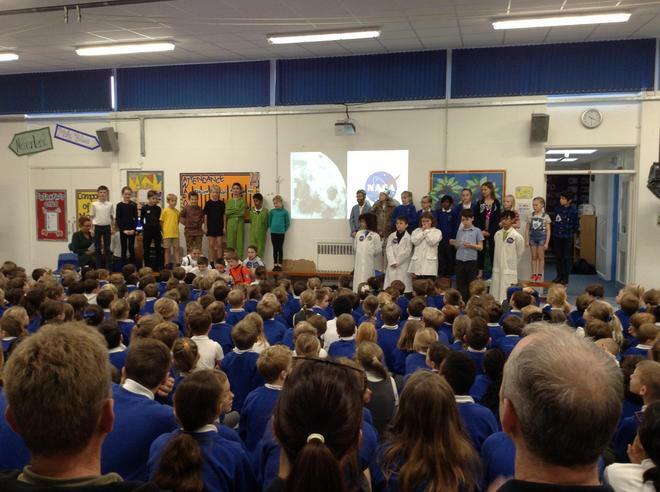 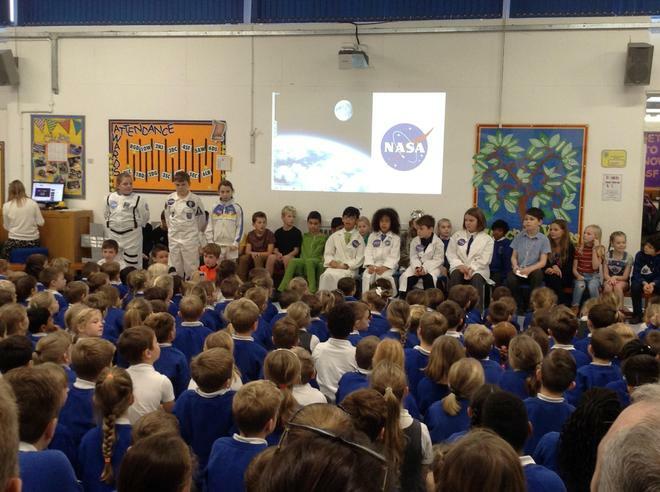 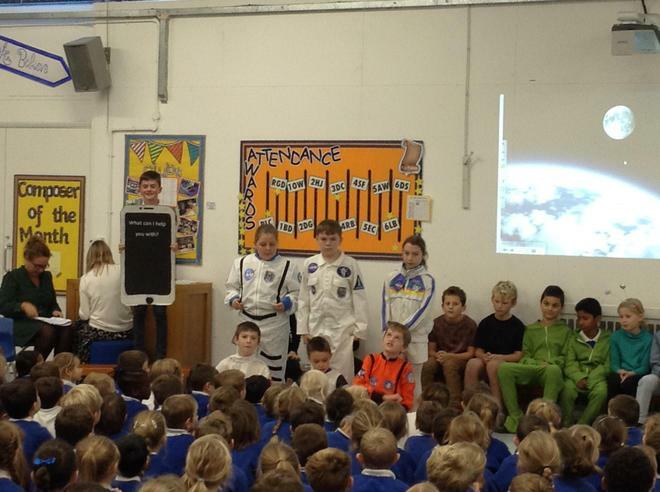 As part of their Space topic, 5AW wowed as with an amazing Space themed assembly on Thursday. 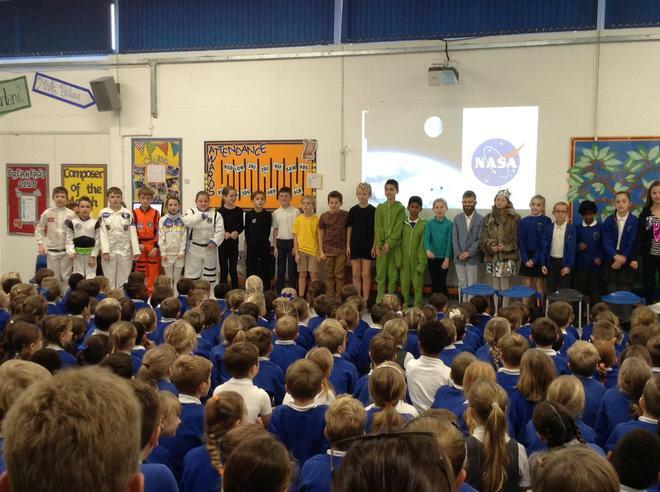 Unfortunately the Moon had gone wonky and so a group of Year 5 students were sent to monitor from ground control at NASA. 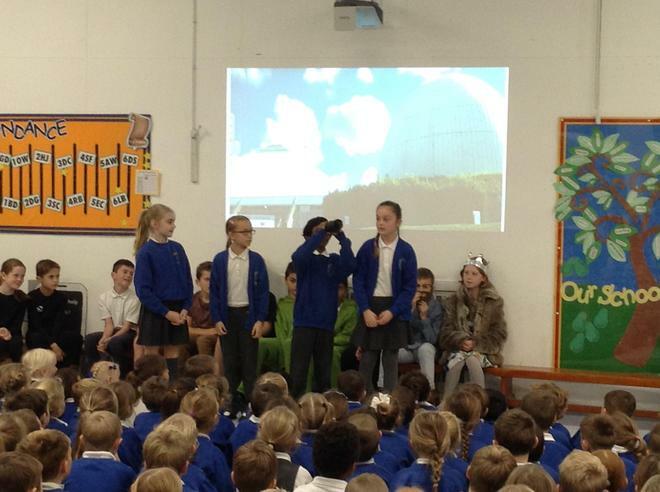 Having watched how to make a rocket on Blue Peter, they set off into space, caught the Moon using a fishing net (and a little assistance from SIRI) and set the Moon back onto it's correct path. 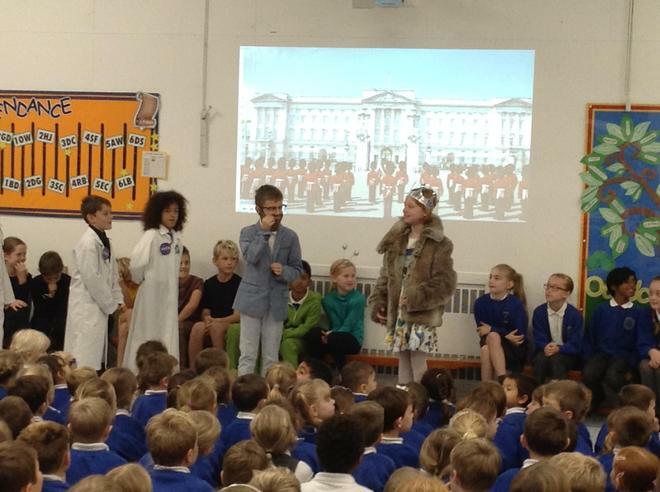 Due to such a successful mission they were all invited to meet the Queen.